Serve your drinks with style with the Skulls & Roses Glass Tumblers. 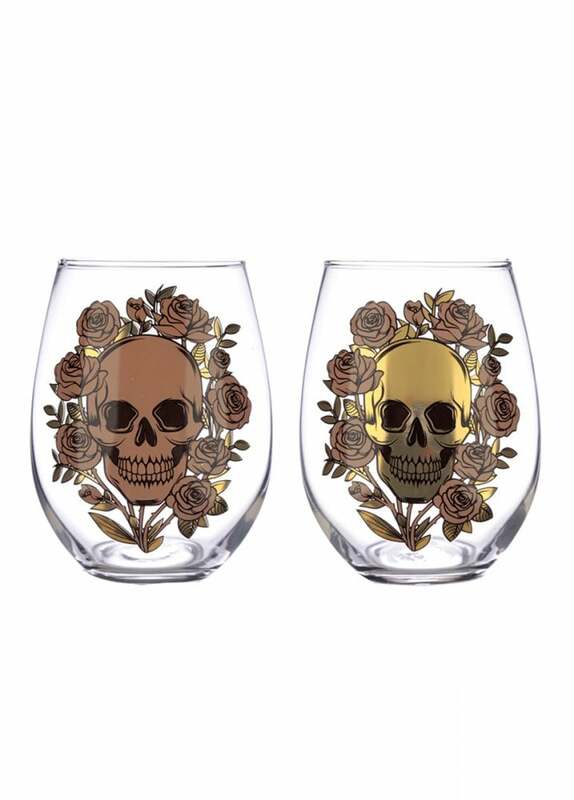 This set of 2 glasses features a skulls and roses design with one glass with a metallic finish. This gothic set will look great in your kitchen and comes gift boxed.